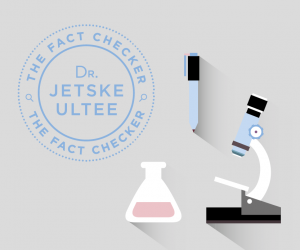 What exactly does your DNA tell you about your skin? 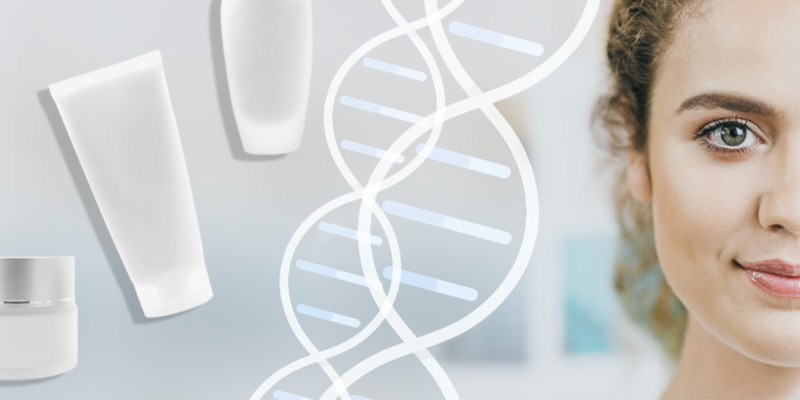 Personalised cosmetics, genomic cosmetics, dermatogenetics…Cosmetics completely adapted to your own DNA; all of a sudden I’m seeing it everywhere. How exactly does it work? Can it? Of course it all sounds quite logical. Much of our physical characteristics are embedded in our DNA. The colour of your hair, your eyes, the shape of your nose. This also applies, for instance, to the rate at which your skin will age; if you get wrinkles early, bags, lines or pigmentation spots. 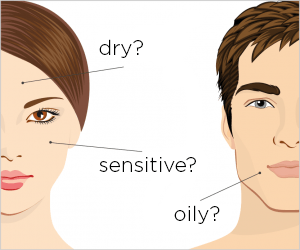 But also, in fact, if you have dry or oily skin; or you suffer from acne, or from a skin condition, such as rosacea. Your DNA plays a part in all of these concerns. 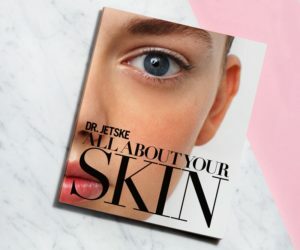 Okay so, suppose this can all be precisely mapped out on the basis of a DNA analysis… Suppose, indeed, that you could find out if your skin is or is not going to be susceptible to pigmentation spots, sagging skin or collagen loss, you could then prepare for this with a complete personal skincare programme. That is exactly what these companies promise. 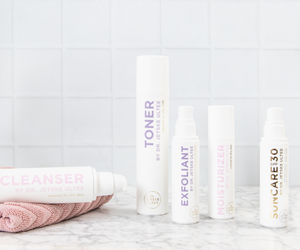 Cosmetics tailored to your own DNA. It is a simple procedure. You take a sample of your own saliva with a cotton bud, you send it, an analysis of your genetic characteristics is carried out and you will then receive a bespoke product advice. Sounds good doesn’t it? The companies deliver this message very convincingly via flashy websites with impressive text. And sometimes you even receive lifestyle tips and online coaching with it! As genetics is not my area of expertise, I have asked the clinical geneticist and specialist in the field of DNA screening, Dr. Robert-Jan Galjaard, for his opinion. One of the Netherlands best known experts in the area of clinical genetics, attached to the Erasmus MC in Rotterdam, has his concerns. He told me that certain skin characteristics, for example wrinkles, are embedded in our DNA, but in general there is no question of a specific gene responsible for this. If only it were that simple. No, it is an extremely complex combination of genetic and non-genetic information. And, although specific DNA characteristics certainly play a part in the various processes in the skin, such as collagen production, the ability to recover from sun damage, pigment forming or moisture balance, knowledge in this area is extremely limited. We also know from studies on identical twins that external factors such as sun damage and smoking are far more of a determining factor than your DNA. And I would like to add some more to that: the DNA tests that are available now can perhaps give you an indication about your ability to protect your skin from sun damage or collagen break down, but you will probably get a much better picture by looking at your parents and your own skin. If you have fair skin with freckles, and burn easily in the sun, then your skin is sensitive to sunlight. If your mother has had wrinkles and sagging skin from an early age, then the likelihood that you will also have this is increased. There is absolutely no DNA test required for that. And certainly no specific cosmetic products. Because believe me, no matter what DNA profile you have, your skincare products should always contain ingredients with anti-inflammatory properties, which protect the barrier function and contain those antioxidants.